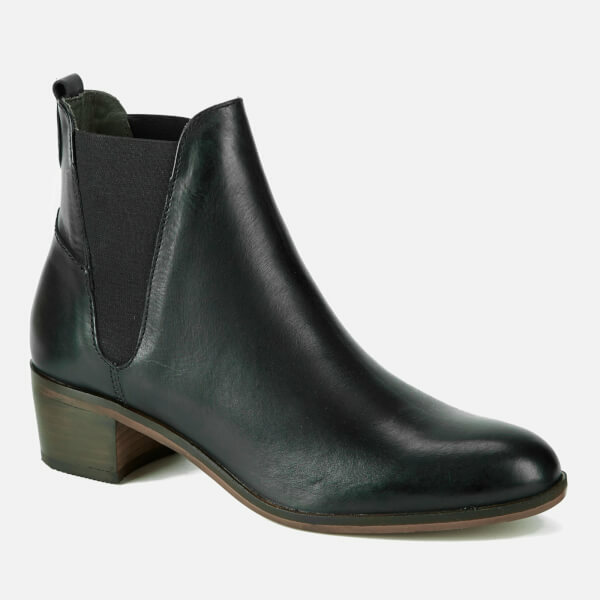 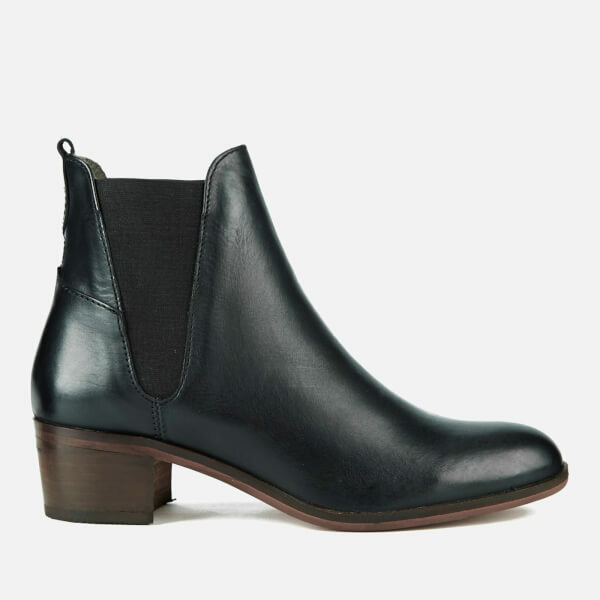 Leather Chelsea boots from Hudson London. 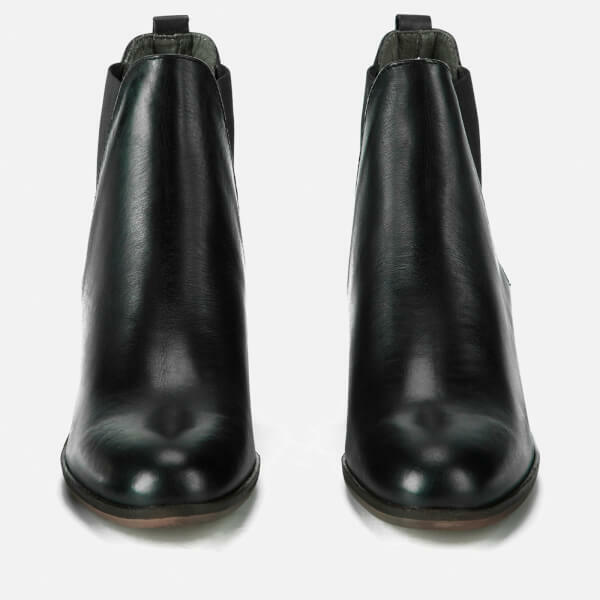 The ankle length ‘Compound’ boots are constructed with a leather upper in a smooth textured, polished finish. 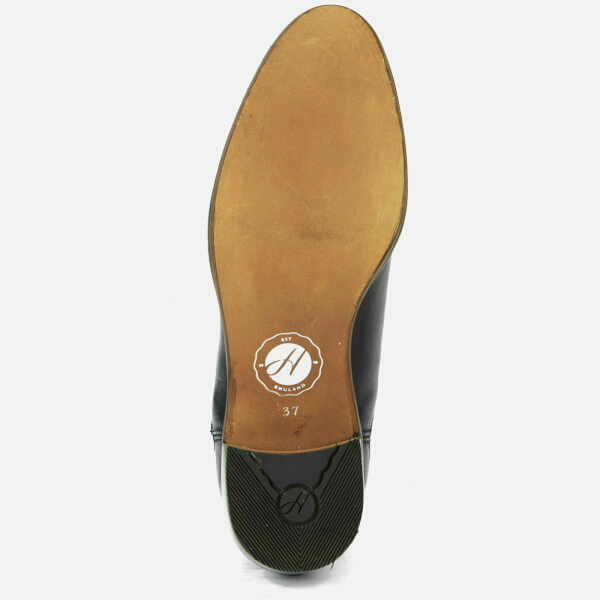 Characteristic elasticated side inserts, a heel pull tab rear and a rounded toe also form the upper. 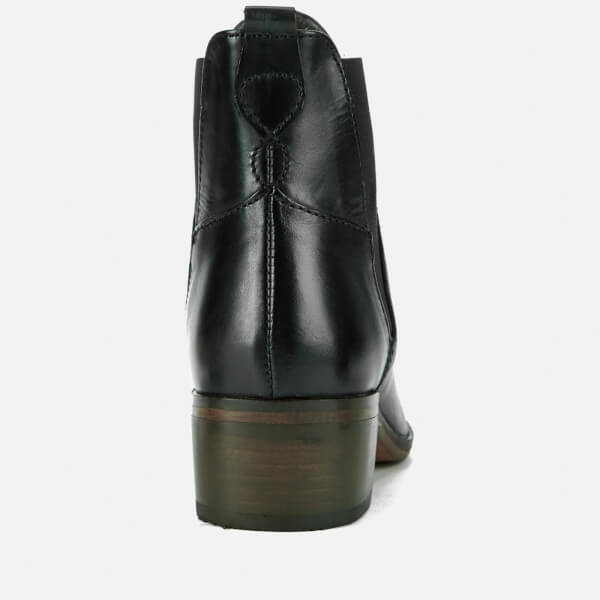 Leather lined, the boots are set upon a leather sole with a mid-stacked block heel. 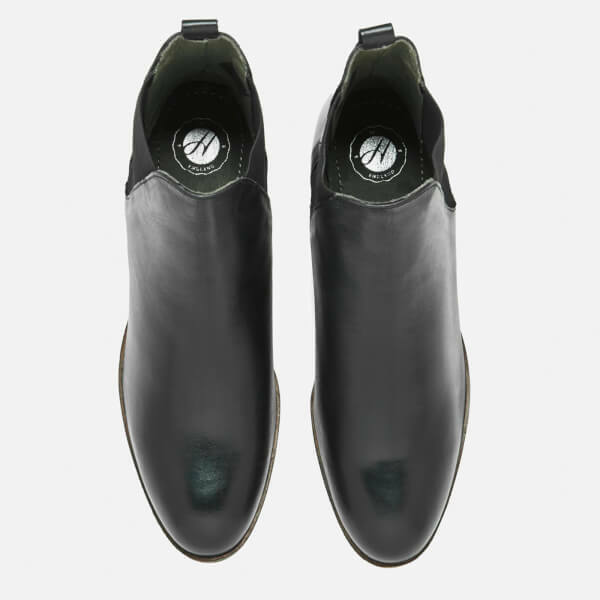 – R.R.